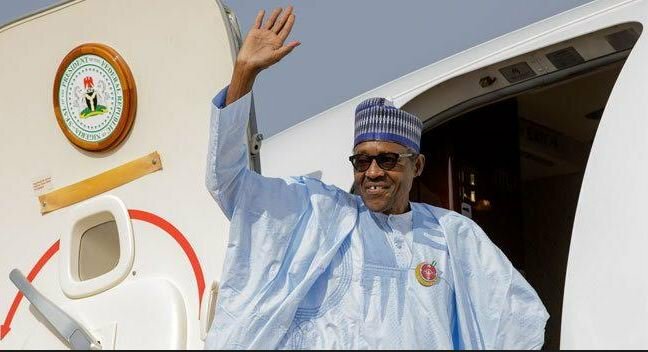 President Muhammadu Buhari has arrived Washington DC ahead of his Working Visit on 29th April 2018… President Buhari is to meet President Donald Trump in Washington on Monday, the first African leader to be received by Trump’s White House administration. 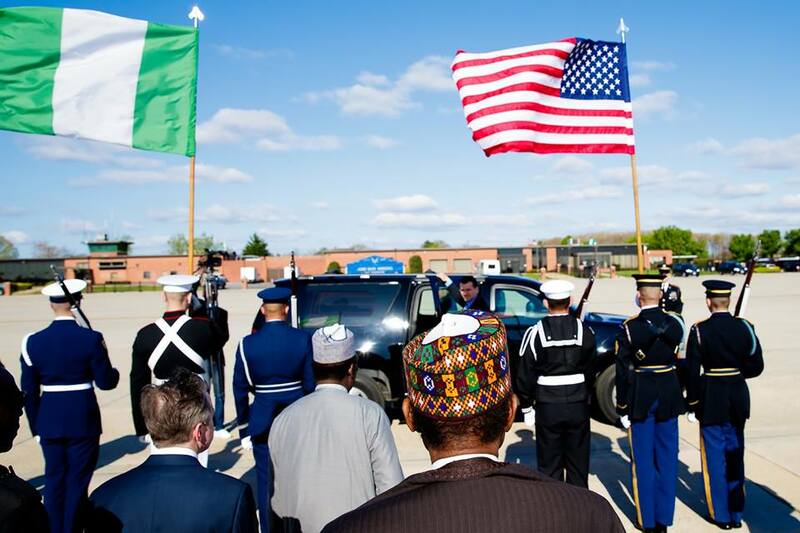 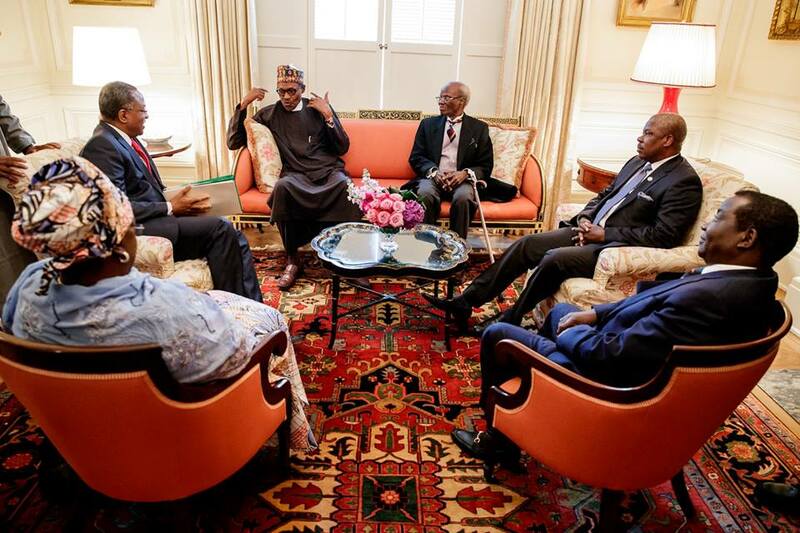 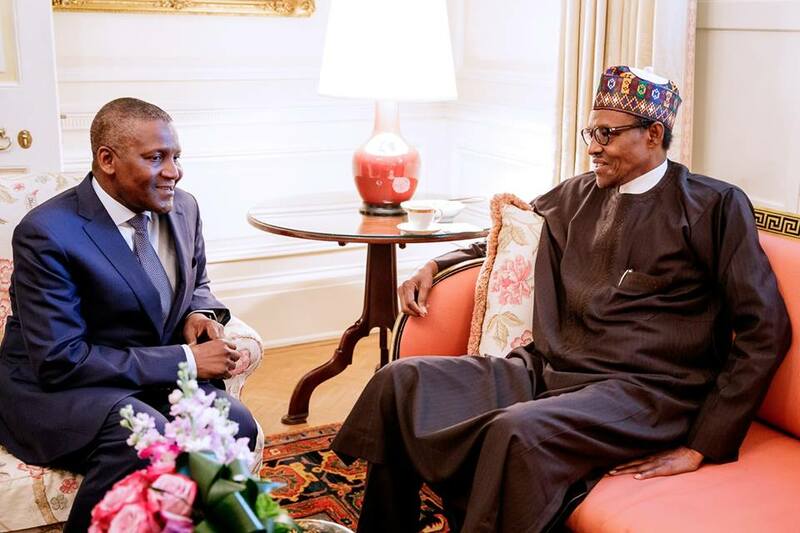 President Buhari was welcomed by the Nigerian Ambassador to USA Amb. 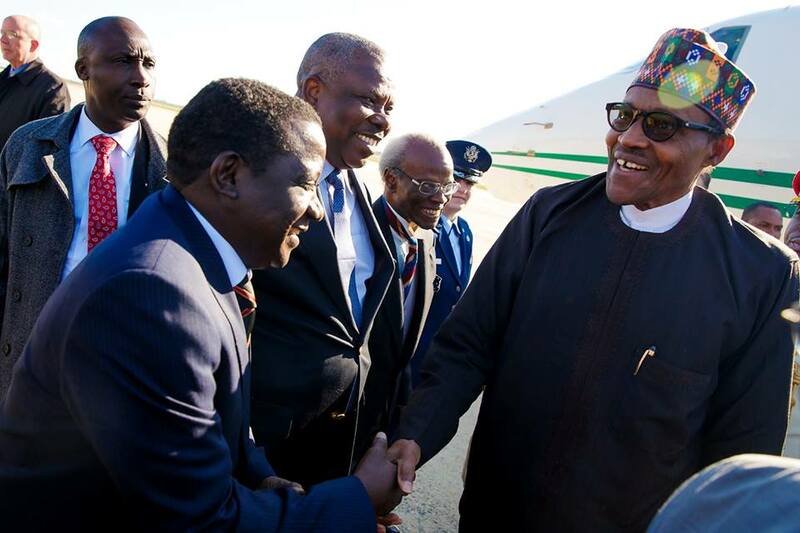 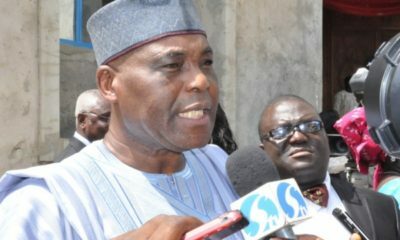 Sylvanus Nsofor, Governor Ibikunle Amosun of Ogun State, Governor Simon Lalung of Plateau State, Chairman Senate Committee on Foreign Affairs Senator Monsurat Sunmonu and Minister of Foreign Affairs geoffrey Onyeama shortly after arriving Washington DC, Alhaji Aliko Dangote of Dangote Group among others. 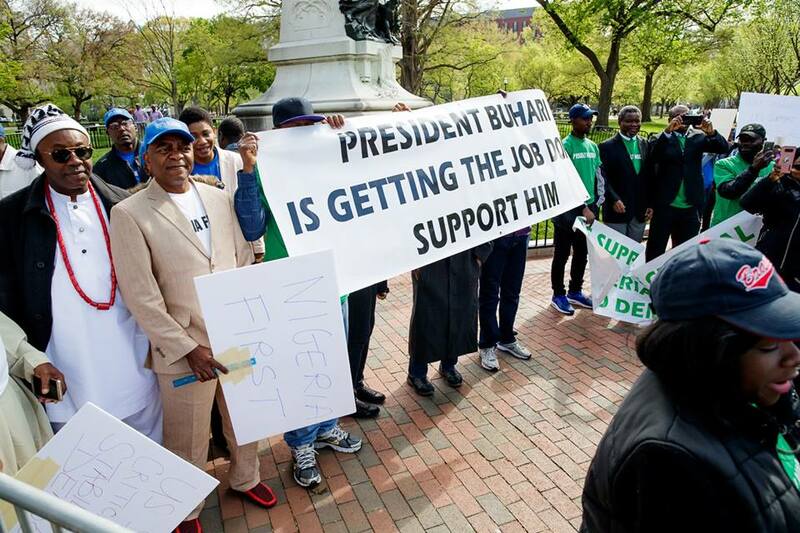 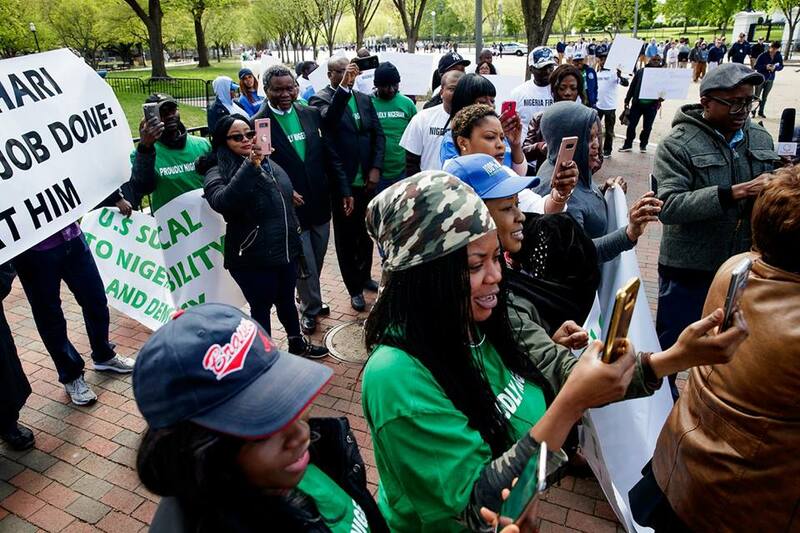 Also, a group of Pro-Buhari supporters held a small rally welcoming President Muhammadu Buhari to the United States for his meeting with President Donald Trump in Washington DC.